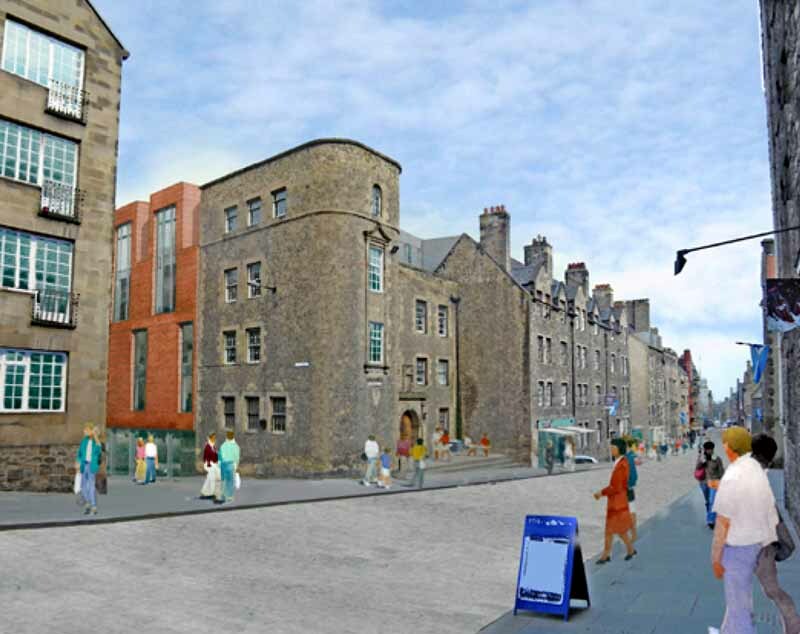 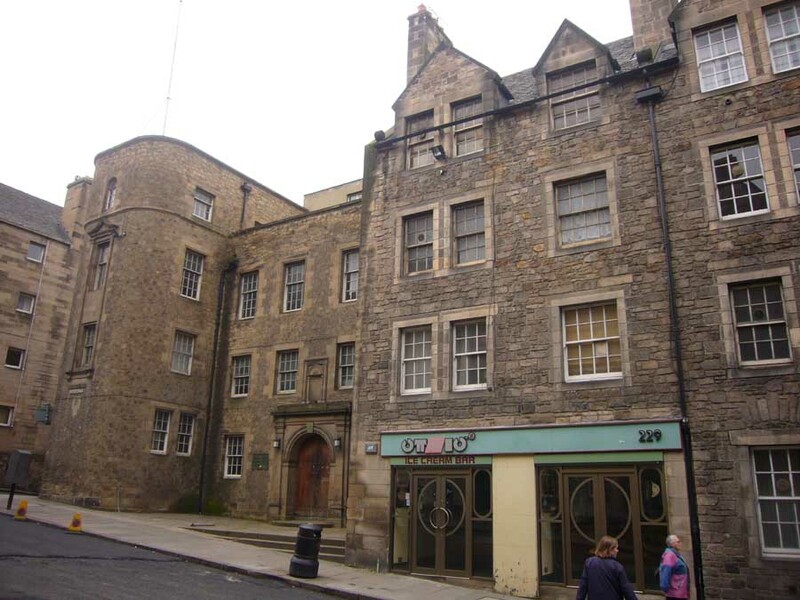 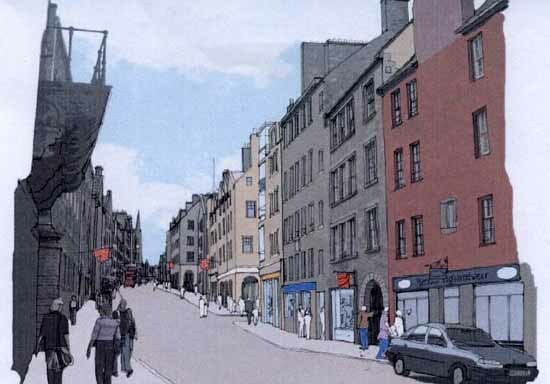 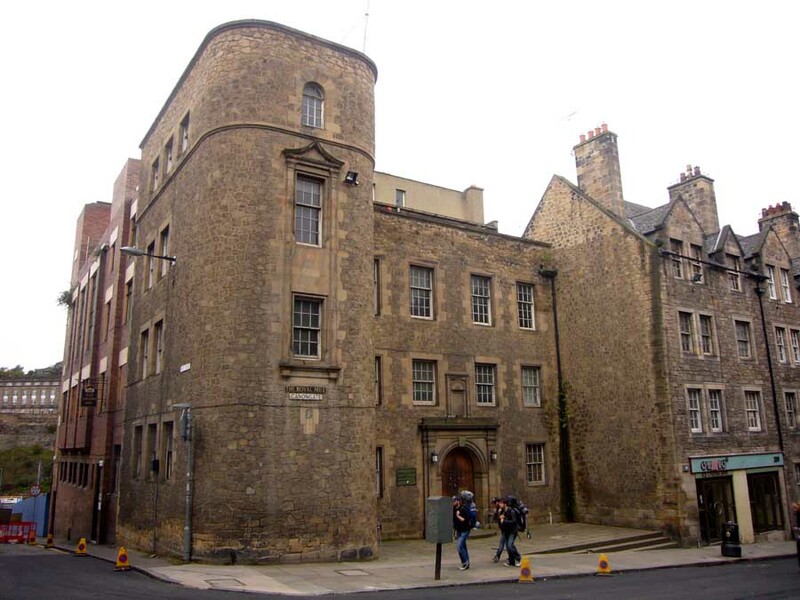 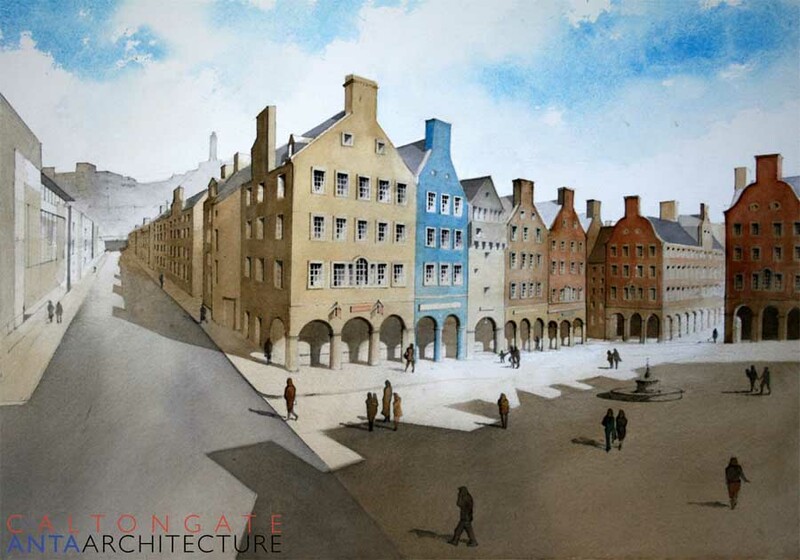 ‘Caltongate’ is one of the most important vacant sites in the City of Edinburgh. 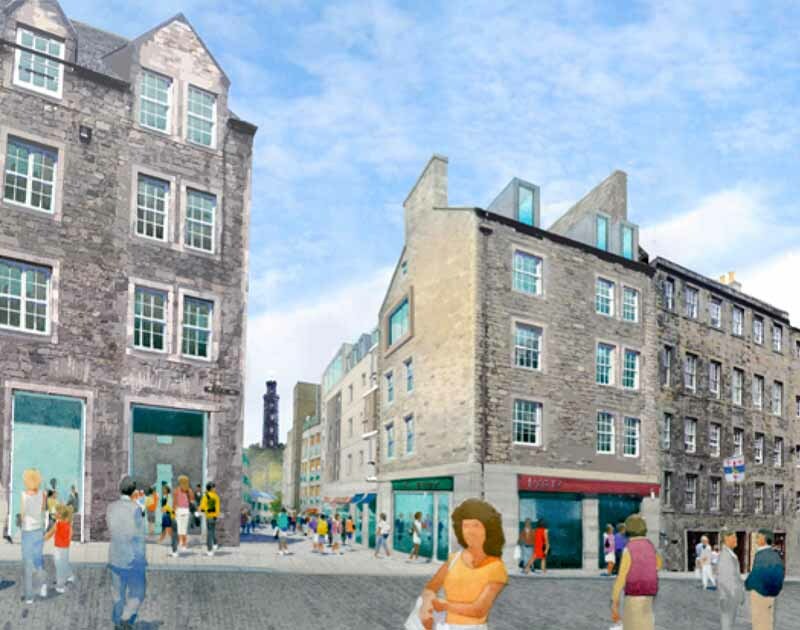 The way in which the site will ultimately be developed and occupied will permanently affect the character and functioning of a significant part of the Old Town and have a wider impact on the city. 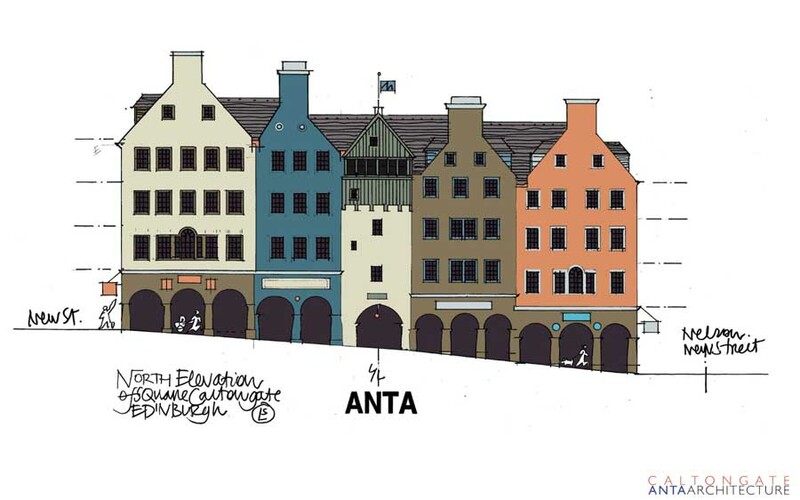 In this context and to stimulate new thinking over the future of the site, Anta Architecture has drawn up an alternative vision – a framework that is adaptable, flexible and closely informed by the urban and architectural patterns that have made Edinburgh one of the most attractive and recognisable cities in the world. 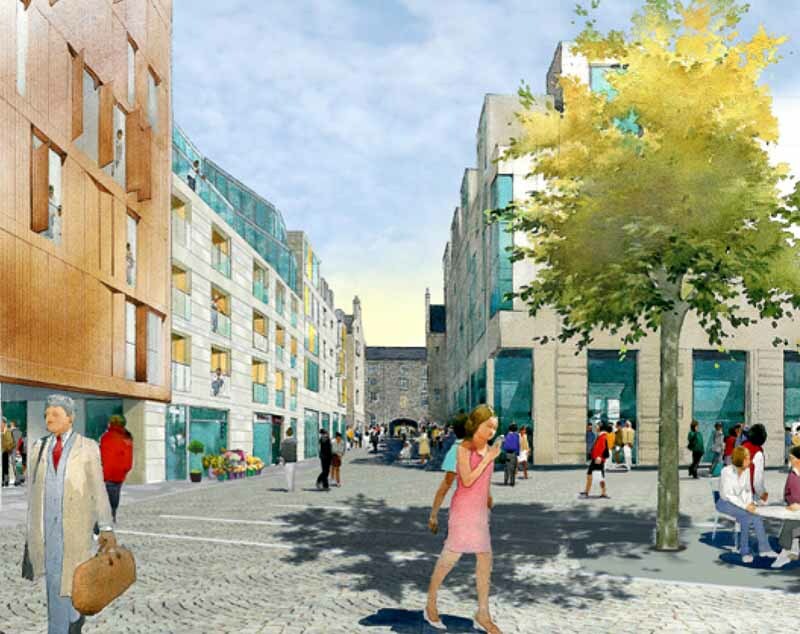 Our proposal is similar to the previous scheme only in terms of overall capacity (floor area). 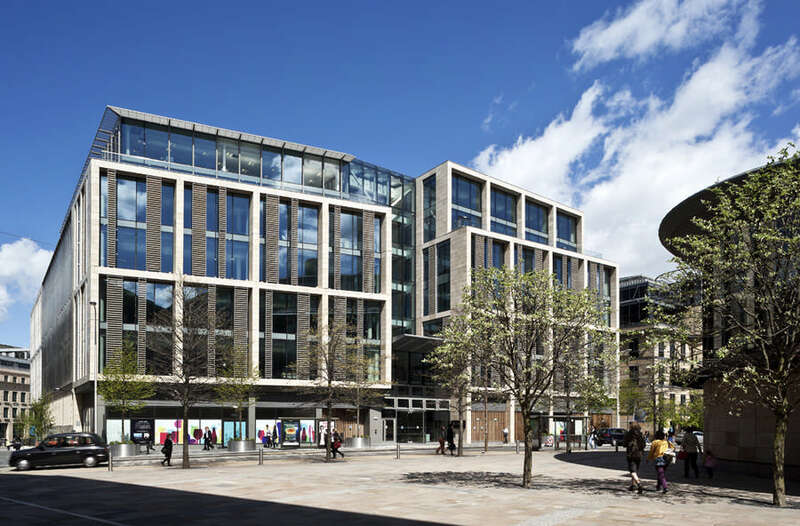 New urban spaces are well defined and enclosed by active frontages, located within a varied and permeable network of pedestrian-friendly streets and wynds. 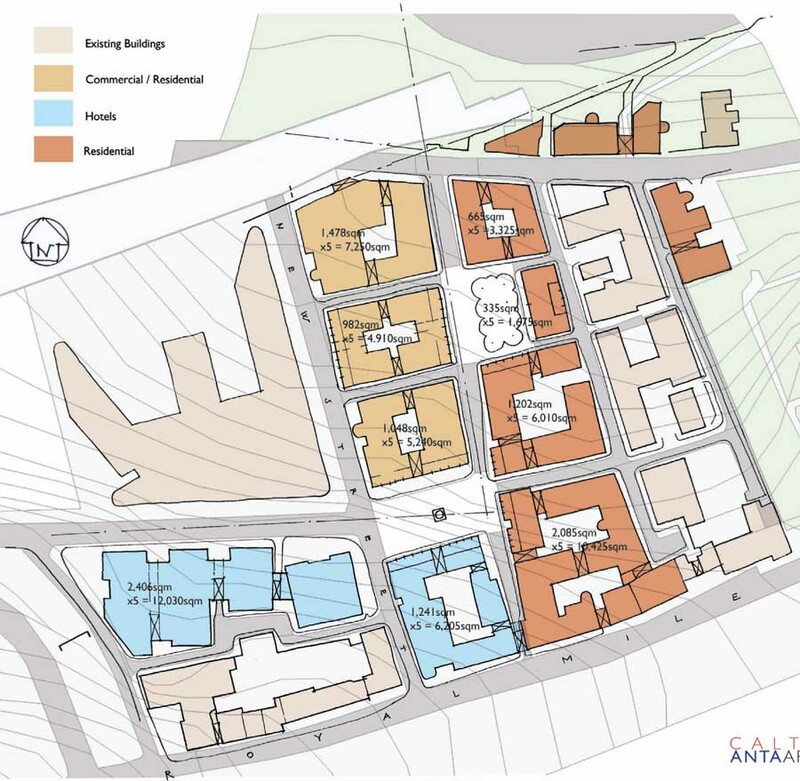 Each urban block is conceived as a building group rather than as single large footprints, which gives the flexibility to develop plots either individually or in combination. 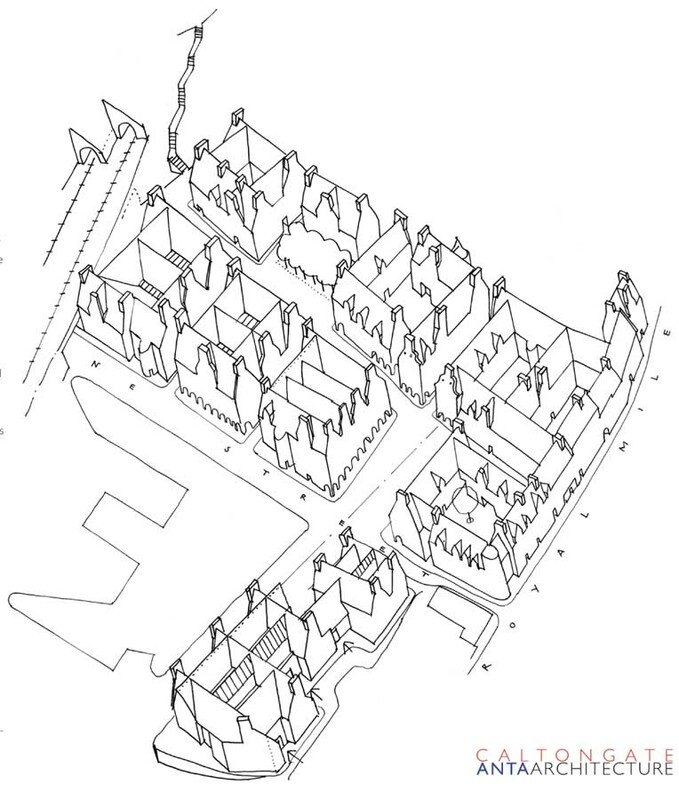 The land uses illustrated are indicative only and a wide range of activities and requirements can be mixed in close proximity, taking advantage of subtle distinctions across the site. 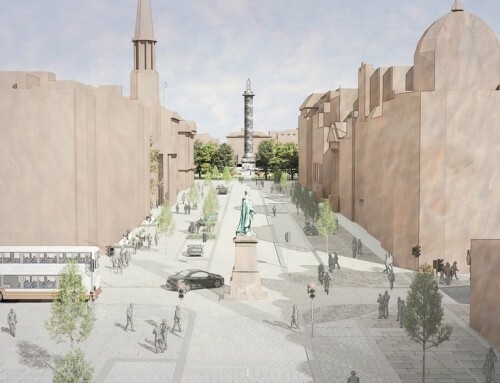 Arcades provide a unifying element at street level around the main public square. 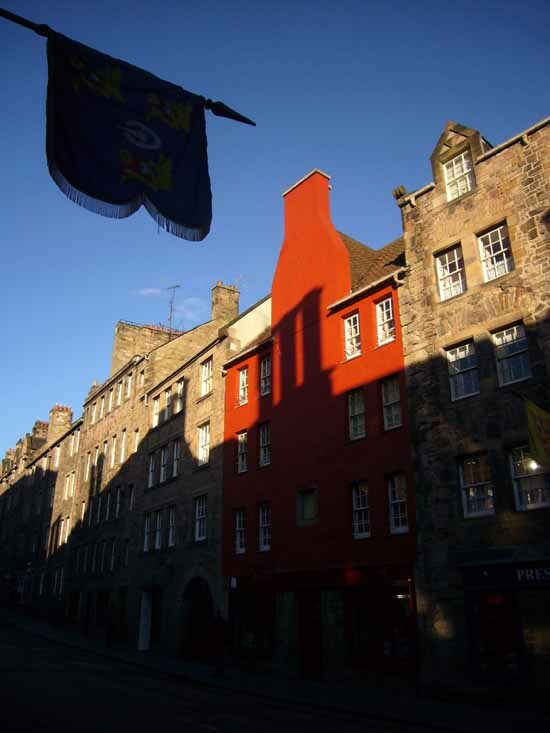 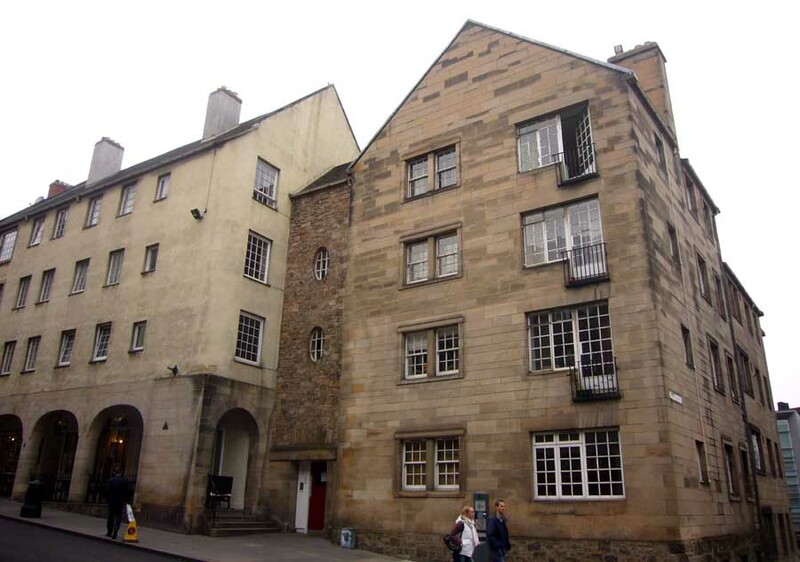 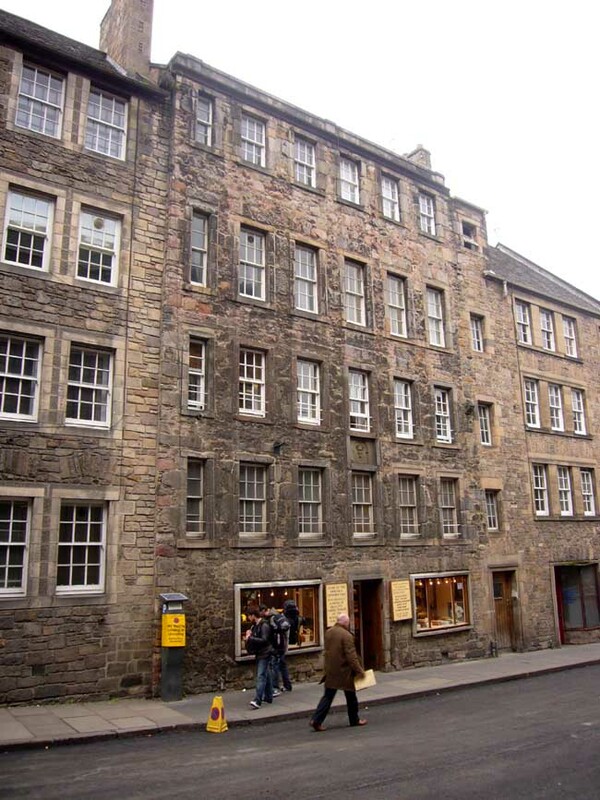 These were once a characteristic feature of the Royal Mile, though only fragments remain today. 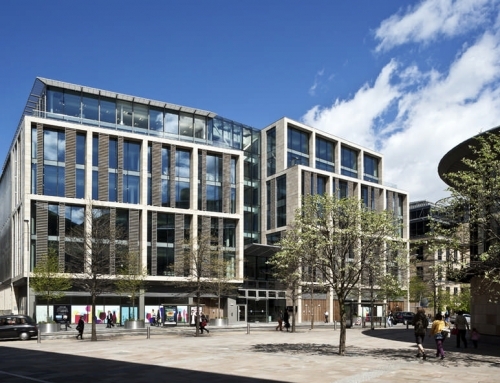 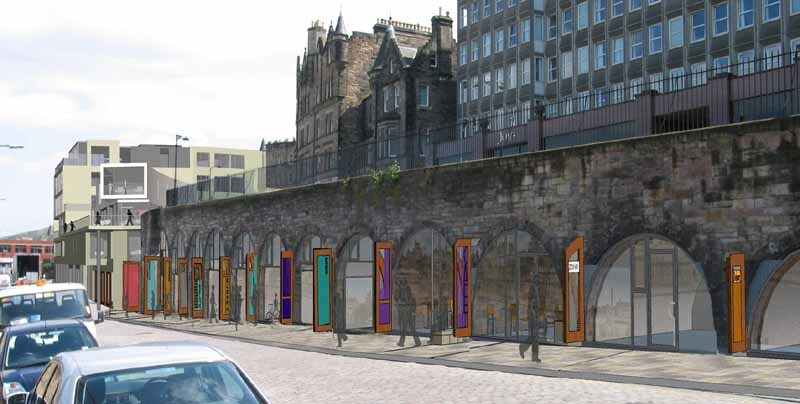 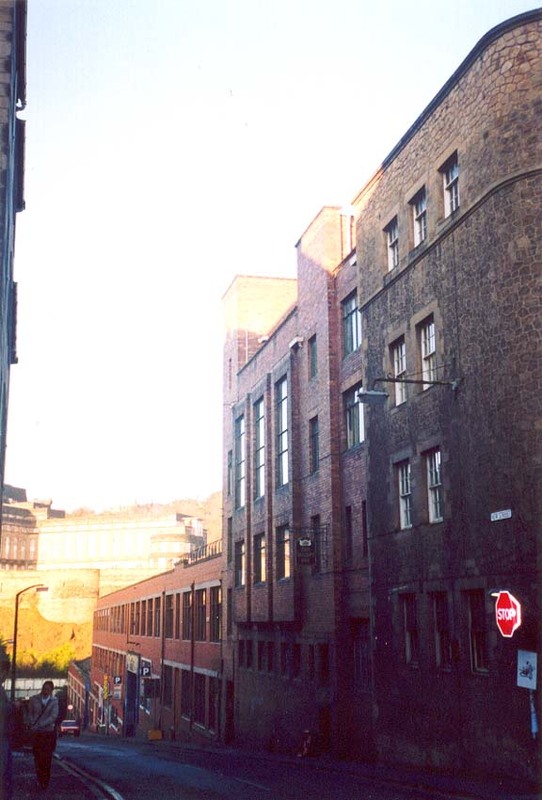 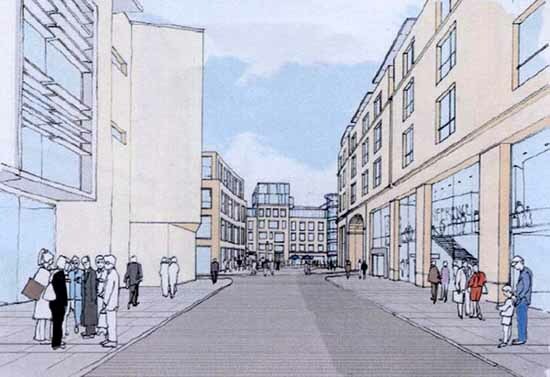 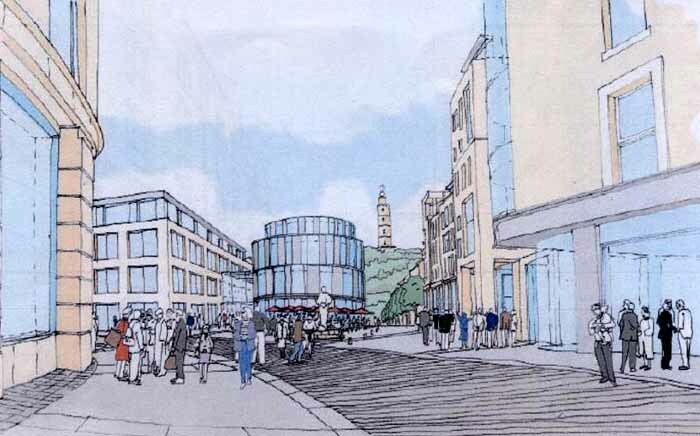 The Caltongate site has the potential to give a unique sense of the shelter and vitality that the arcades were once famous for, where shops, restaurants and bars will naturally flourish. 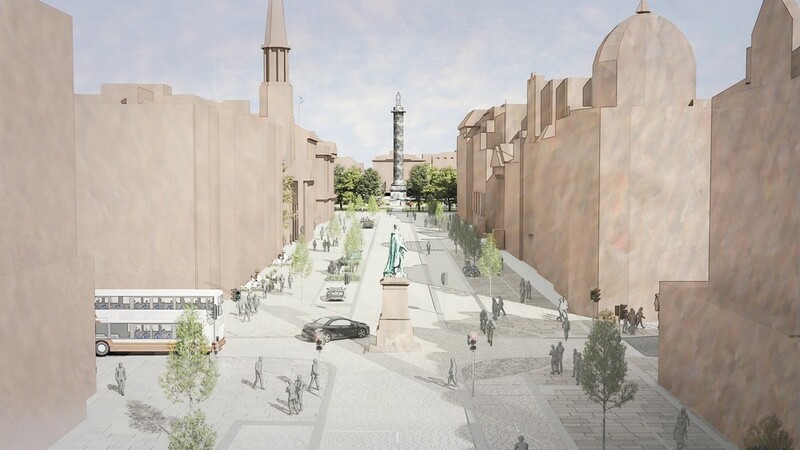 Many of Edinburgh’s most celebrated thoroughfares have terminated vistas and the central street of the proposal, which also has arcaded sections, is aligned with the powerful feature of Nelson’s Monument on Calton Hill. 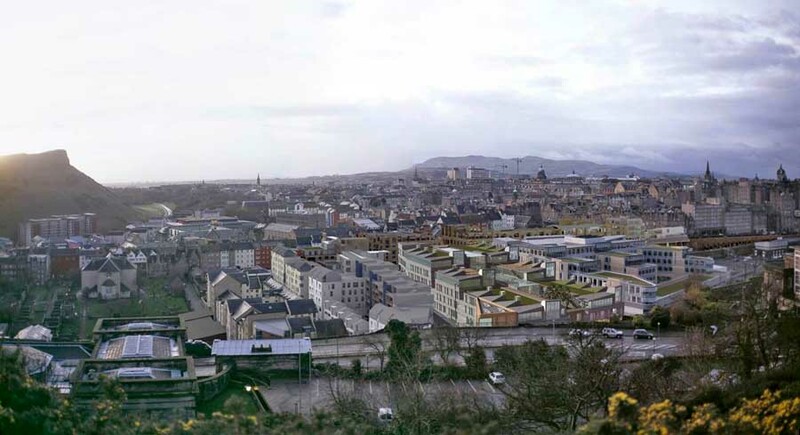 The site occupies the foreground in views towards the Old Town and Arthur’s Seat from Calton Hill. 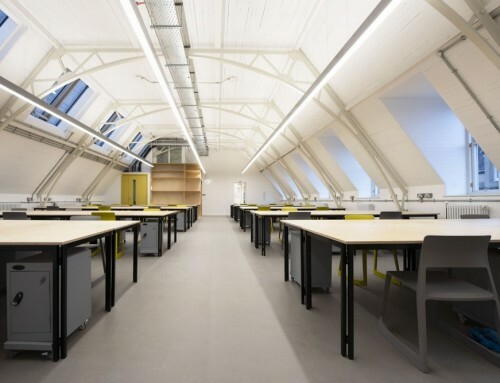 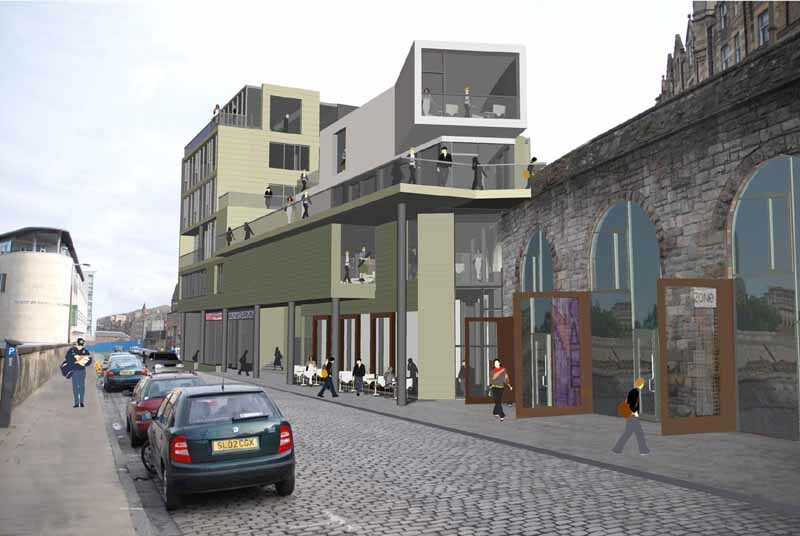 Each new block is given a varied roof treatment that will ensure that these prospects are enhanced by the development. 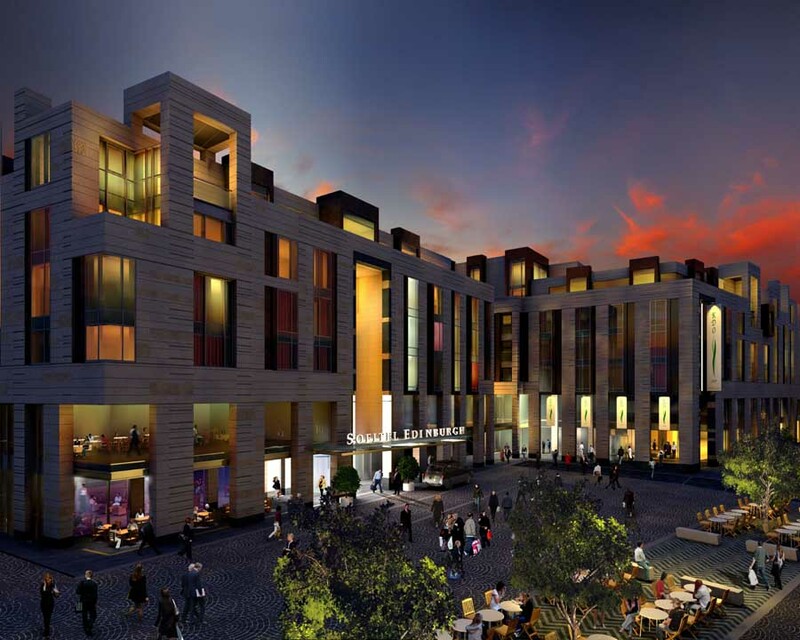 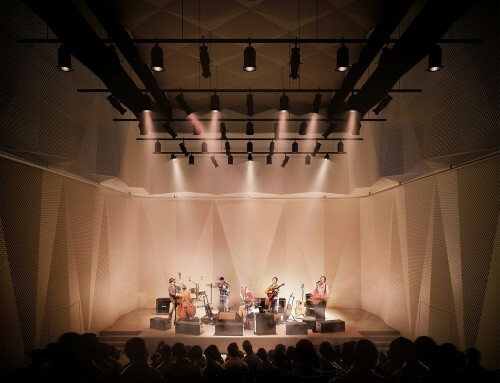 This also provides an opportunity to create unique spaces and distinctive features within the upper levels. 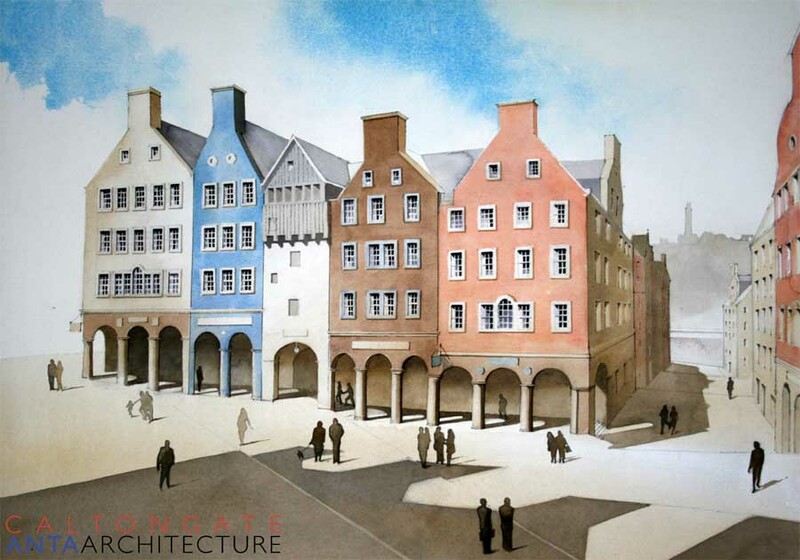 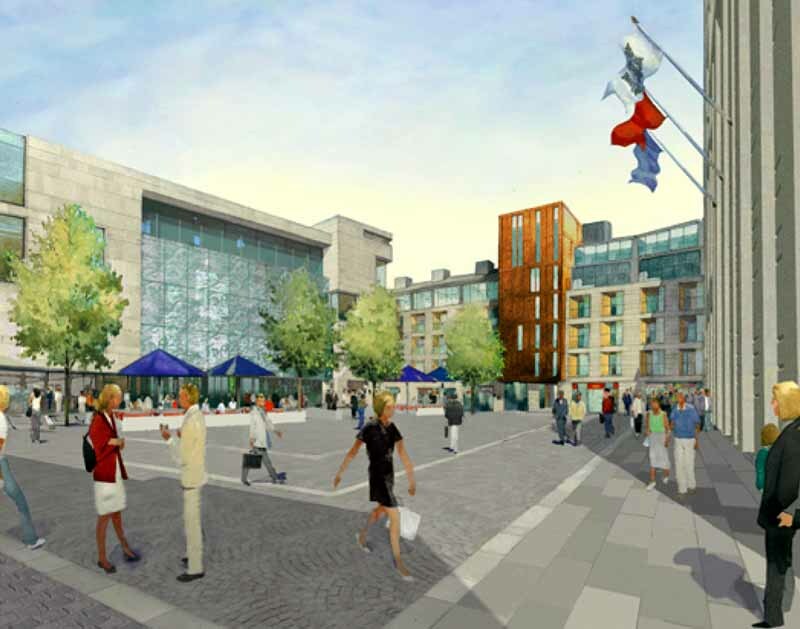 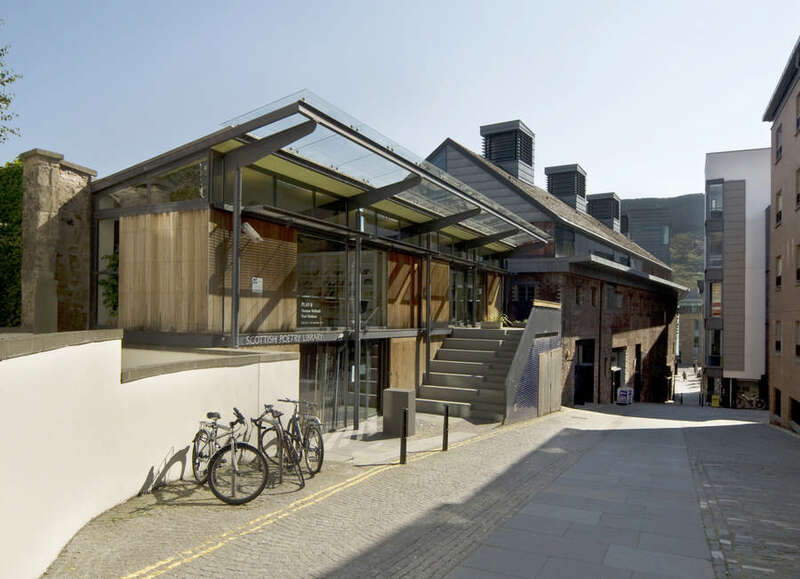 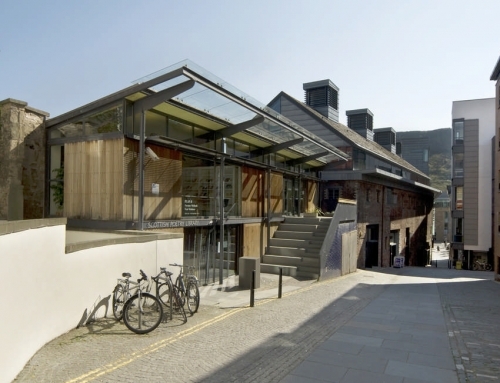 The architectural treatment proposed is colourful and traditional with a pallet of simple materials and repeatable elements, similar to the work of Begg, Hurd, and Spence in the High St. A number of different architects working collaboratively within an agreed template or building code can achieve a degree of variety whilst ensuring harmony and continuity across the site, with controlled contrasts and juxtapositions. 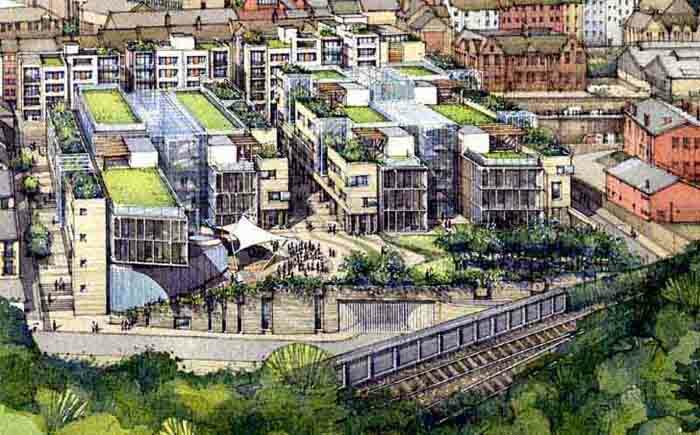 Over the past two years conventional models of speculative development have been fundamentally challenged by global economics, and proposals for many large sites are being redrawn in favour of more varied development plots and building types, according to principles of sustainable, traditional urbanism. 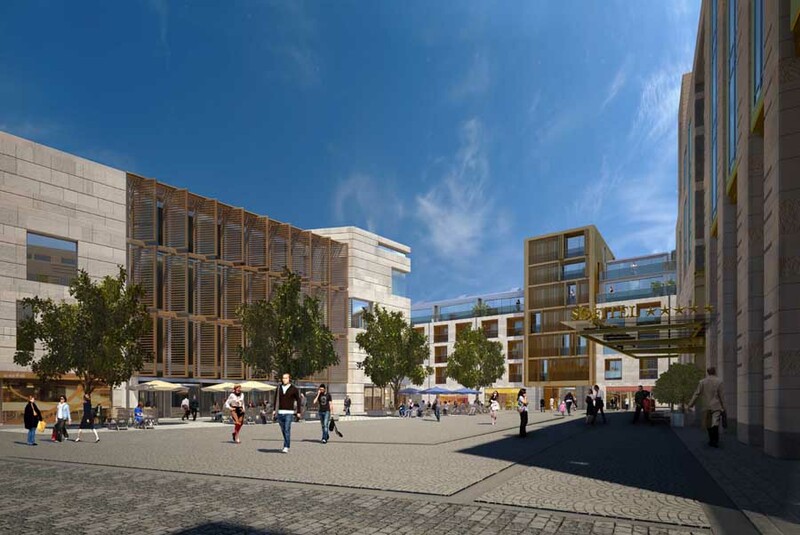 It is hoped that this alternative proposal may help to encourage a new spirit of collaboration between citizens, investors and future occupants. 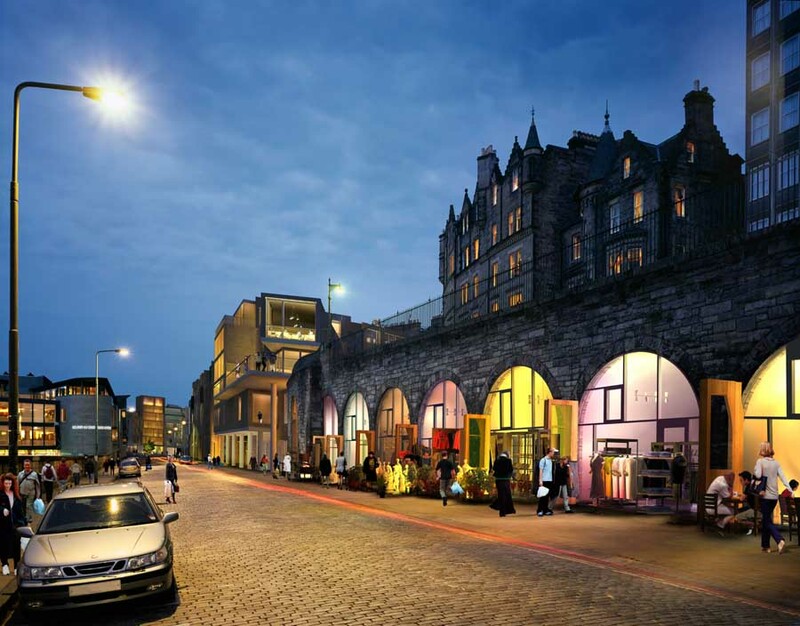 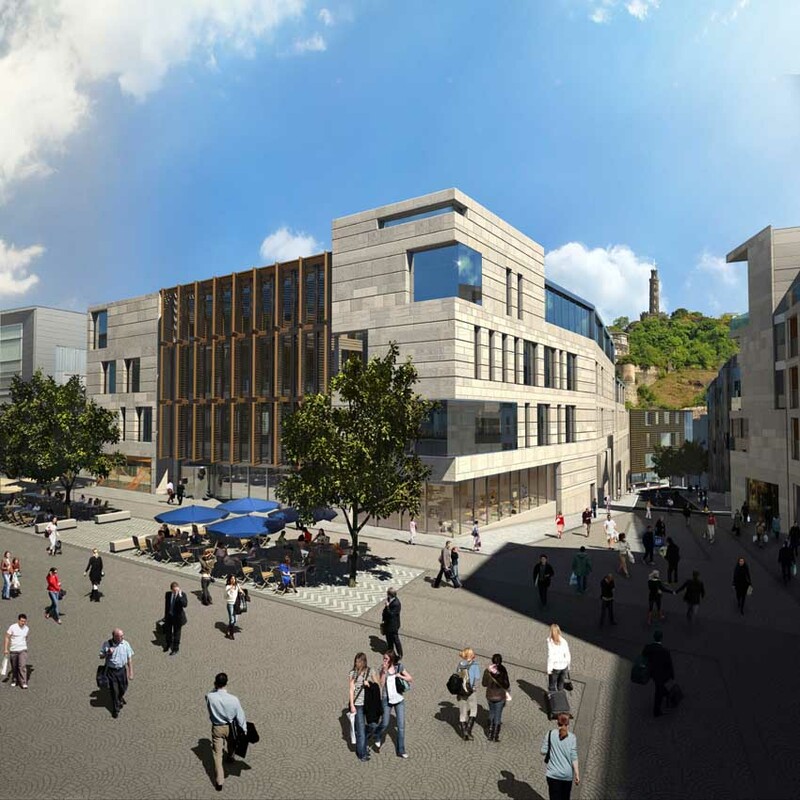 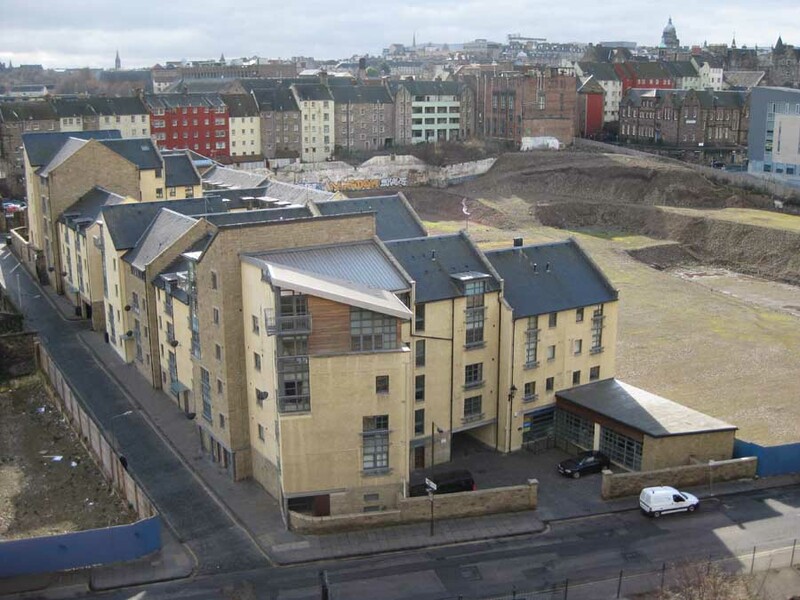 Whilst uncertainty remains over the future of the site, we have a collective responsibility to continue visioning how we might best extend the creative life of the city into this urban vacuum, and rise to the challenge of completing one of Edinburgh’s last great pieces of empty canvas.